Please contact us with any queries as we are very much looking forward to chatting with you. By booking with us you agree to our full terms and conditions which can be found at the bottom of this page. Our price rates will depend on what you want and are unique to each of our customers. This will vary depending whether you would like any digital copies, prints, posters or wall art for example. A standard 1 hour session/shoot labour rate is £60.00 (includes a free 8×10 print of your choice) and a 30 minute session/shoot is £30.00. This is payable at time of booking via bank transfer. Writing: We look forward to hearing what you would like us to write about so please get in touch. CapturebyKatie are always committed to producing high quality, engaging text with short notice and to suit your needs. Our freelance writing services will be quoted once we know more about what you require . The customer(s) shall be those persons defined in our booking form. The subject(s) are those being photographed. The photographer or the writer refers to the indivdual assigned to the fulfill the job booked in by the customer. It is mutually agreed that the following terms of agreement form an integral part of this contract and cannot be varied in any way by the customer(s) unless such conditions are expressly agreed by the photographer/writer in writing. By booking with us you agree to all terms, conditions and disclaimers below. The customer(s) hereby allow(s) the photographer/writer to display any photographic images/writings covered by this contract and to generally promote the business in advertising, brochures, magazine articles, calendars, websites, photo competitions, sample albums, commercial photography and so forth. When uploading your images on the web (Social Media) you will be required to only use the small resolution digital image with logo. You are not allowed to remove the logo or edit the images (changing colours, or removing part of the image). High resolution images (JPEG) without logo are for print only use. You are not permitted to enter any of your images in competition (online or otherwise). When purchasing prints, you are not permitted scan the print into another print or a digital image. Digital images can be purchased separately. It is the responsibility of you the customer(s) to ensure the subject animal(s) are physicaly fit, healthy and safe to partake in the session/shoot. It is your responsibility to commuicate to the photographer throughout the shoot ensuring the subject animal(s) are continually maintaining good health and welfare. You must communicate if the subject animal(s) requires a break or if you feel the session needs to cease. In this case we are able to re-book to continue at a later date. The health and welfare of the subject animal(s) is of most importance. It is your responsibility to ensure that the subject animal(s) are kept safe throughout the shoot and the photographer is not liable for any damage caused by the animal(s) or the customer. The photographer will not be liable for any injury or illness to the subject animal(s) or the customer(s.) We and the photographer are not liable for any post session/shoot physical or psychological affects of the subject animal(s.) We ask you to avoid booking a session with us if your female animal(s) is in estrus/season. We ask that all animal subjects are accompanied by their legal owner or with someone of whom has consent to do so by the owner. We advise and encourage customer(s) to always have their animal(s) insured. CapturebyKatie enjoy providing product photography. Product costs will be an additional cost to you the customer(s) in additon to your standard session fee. Please be aware that orders may take up to 14 days to arrive. Products will usually be sent to you or can be picked up if preferable. It is the responsibility of you the customer(s) to ensure the subject person(s) are physicaly fit, healthy and safe to partake in the session. It is your responsibility to commuicate to the photographer throughout the session/shoot ensuring the subject person(s) are continually maintaining good health and welfare. You must communicate if the subject person(s) requires a break or of you feel the session needs to cease. In this case we are able to re-book to continue at a later date. The health and welfare of the subject person(s) is of most importance. It is your responsibility to ensure that the subject person(s) are kept safe throughout the shoot and the photographer is not liable for any damage caused by the subject person(s) or the customer. The photographer will not be liable for any injury or illness to the subject person(s) or the customer(s.) We and or the photographer are not liable for any post shoot physical or psychological affects of the subject person(s.) We must ask that all subject person(s) under 18 years of age or those that are disabled are accompanied by their parent or guardian. At no point during the session/shoot any person(s) under the age of 18 years or disabled are to be left unaccompanied with the photographer. CapturebyKatie believe that the best photographs are those in which the subject(s) are most comfortable and natural. We have passion and pride our work therefore we prefer to shoot outside of the studio such as a public park, the countryside or can even be at your home (wherever comfortable.) We can however, arrange studio sessions/shoots on request. If the appointment has to be cancelled by CapturebyKatie due to adverse weather conditions, a mutually agreed reschedule appointment will be made with no additional charge. If CapturebyKatie cancels your appointment for reasons beyond their control (death, injury, sickness, etc.) The customer(s) will receive a full refund of all monies paid in advance or a mutually agreed reschedule appointment will be made. If the customer(s) cancels their appointment or is a ‘no show’ the customer(s) is liable to not receive any refund of the standard labour fees which has already been pre paid at time of booking. The amount will depend on the time slot/session your have booked with us. When the customer(s) purchase digital files the customer(s) is responsible to keep them safe and to make duplicates. Any request for additional digital image duplicates from the photographer will incur additional charges. Digital files are provided are orignal or have been edited in my style. We provide original, unique writings for you the customer(s.) Any writing we provide is always orignal and our written work under no circumstance(s) is to be copied in any way. Our writing is the interlectual property of CapturebyKatie(WrittenbyKatie) and failure to adhere to our terms may result in legal action against you(Copyright, Designs and Patents Act 1988.) We provide proof and backup all of our data in regards to our written features. CapturebyKatie offers event photography. Consent is not required by all individual’s that may feature within photographs. In the case of a more close up shot/photograph. meaning indivduals may be recongnisable, verbal consent will be required by the photographer. It is the responsibilty of the event organiser or manager to commuicate to attendes that photography will be taking place and that an opt-out system is in place. CapturebyKatie will not be liable for any dispute regarding this between event attendees and the event organiser/manager. Cameras of any kind are not permitted at your shoot/session. CapturebyKatie will keep your images on file for a 12 months if you require any additional services. 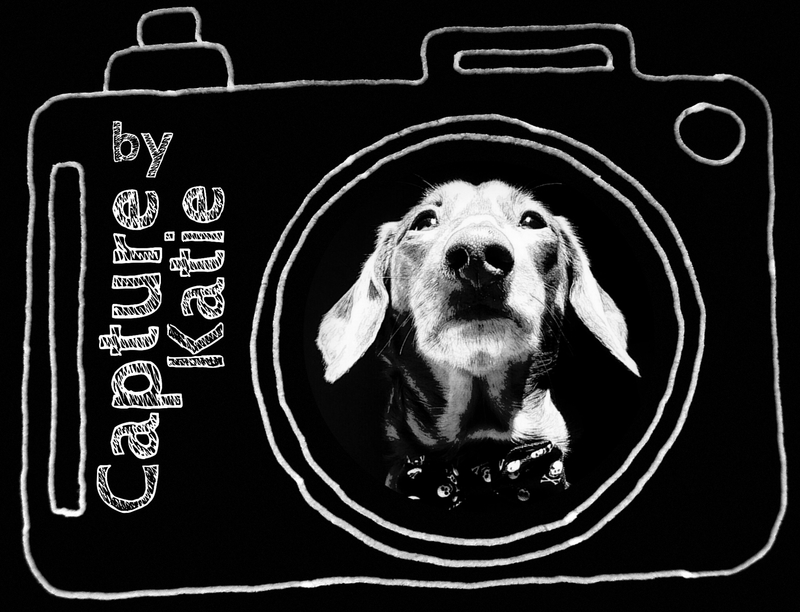 CapturebyKatie will not under no circumstance tolerate any unrespectful behaviour during your session/shoot. Our team will not tollerate any verbal, physical abuse or unwanted behaviours towards us during our time working together. The registered company (CapturebyKatie) operates the site http://www.capturebykatie.com. This page informs you of our policies regarding the collection, use and disclosure of Personal Information we receive from users of the Site. While using our Site, we may ask you to provide us with certain personally identifiable information that can be used to contact or identify you. This may include, but is not limited to your name (“Personal Information”). Registered Address: 41 Totland Road, Brighton, East Sussex, BN2 3EP.